This set of Electrical Machines Multiple Choice Questions & Answers (MCQs) focuses on “Operating (or Performance) Characteristics of Induction Motors”. 1. A 10 kW, 400 V, 3-phase, 4-pole, 50 Hz induction motor develops the rated output at rated voltage with its slip rings shorted. 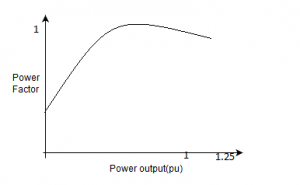 The maximum torque equal to twice the full load torque occurs at the slip of 10% with zero external resistance in the rotor circuit. 2. A 10 kW, 400 V, 3-phase, 4-pole, 50 Hz induction motor develops the rated output at rated voltage with its slip rings shorted. 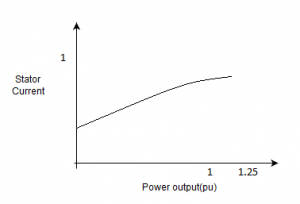 The maximum torque is twice the full load torque occurs at the slip of 10% with zero external resistance in the rotor circuit. 3. A 10 kW, 400 V, 3-phase, 4-pole, 50 Hz induction motor develops the rated output at rated voltage with its slip rings shorted. 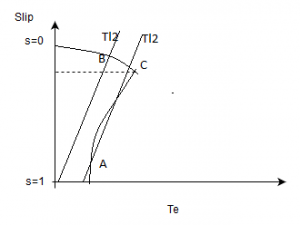 Explanation: The load torque is maintained constant. 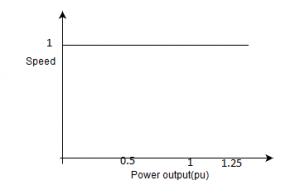 Explanation: As the ratio of r2/s is constant, the changes will not be reflected to the stator. 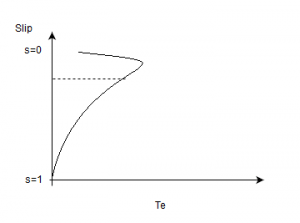 Explanation: External resistance only increases the starting torque. 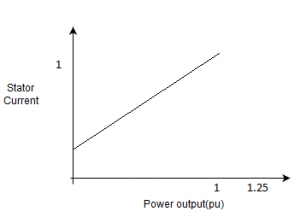 Explanation: Speed and the output power decrease with insertion of the external resistance in the circuit. 7. 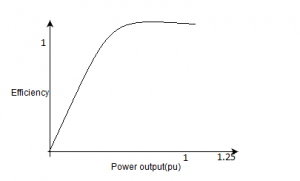 For a three phase induction motor, maximum torque is double the full load torque and starting torque is 1.6 times the full load torque. 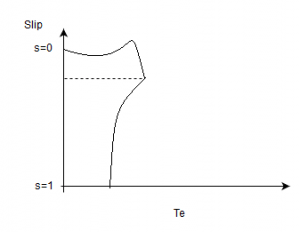 Explanation: Slip at which maxim torque occurs is calculated as smT=0.5. 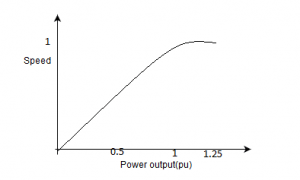 reduction in resistance = (0.5×2-0.186×2)/0.5×2 = 63%. 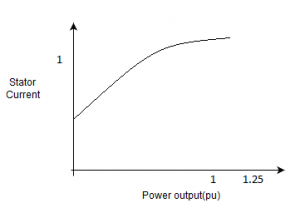 Explanation: At no load, rotor speed is near to synchronous speed and the operating slip is not very large, so there is small difference in operating speed and the synchronous speed. 10. 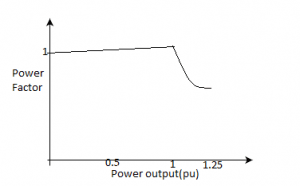 Four students had been conducting conducting experiments on the same induction motor for its efficiency characteristics. Which student has taken the best results? 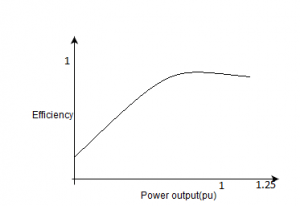 Explanation: At no load the shaft output is zero so the efficiency is also zero. At lower loads, fixed losses are more comparable to variable losses. 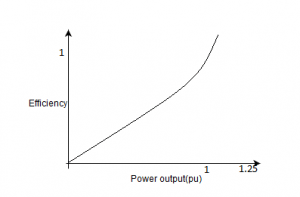 As the load is increased, efficiency also rises. 11. 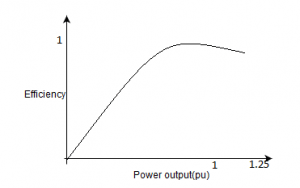 The stator current of the induction motor is given by which of the below? 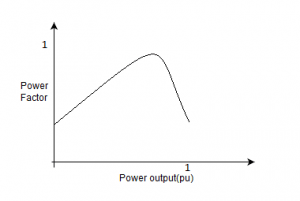 Explanation: The no-load current is about 30-50% of rated current.With increase in load current rises correspondingly. It also follows a semi-circle. 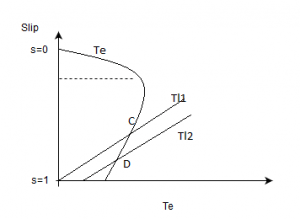 Explanation: Try to check the axes. 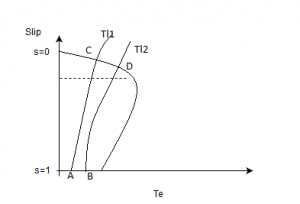 Explanation: If the load torque shift to the Tl2, the motor speed will increase while load torque decreases. 14. 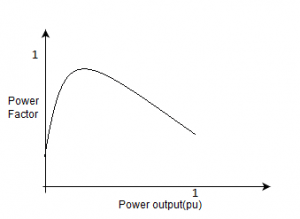 At which point shall the induction machine be operated to attain a stable operation? d) Both A as well as B. 15. 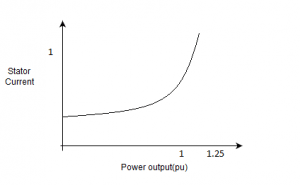 The stable point to use the induction motor possesing the below characteristic. 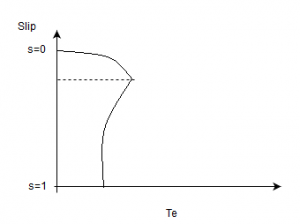 Explanation: For the stable operation, (dTl/dn)>(dTe/dn). 16. 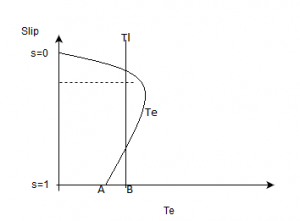 Mark the stable operating point when the load torque shifts from Tl1 to Tl2. 17. A 3-phase, 50 Hz, 6-pole induction motor has a shaft output of 10kW at 930 rpm. 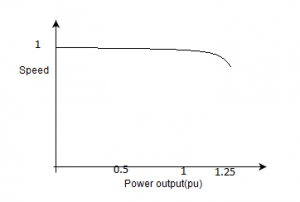 Friction and windage losses is 1% of the output.Total stator losses is 600W. 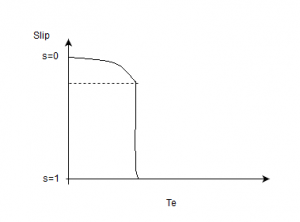 Explanation: Full load slip = 1000-930/1000 = 0.07. 18. A 3-phase, 50 Hz, 6-pole induction motor has a shaft output of 10kW at 930 rpm. 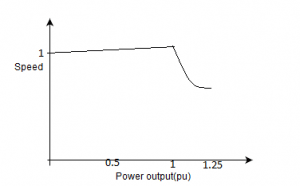 Friction and windage losses is 1% of the output.Total stator losses is 600W.